U.S. forces acting in self defense called in an airstrike on al Shabaab militants in the southern Somalia province of Lower Juba, killing an estimated 18 Islamist extremists, U.S. Africa Command said on Saturday. Somali government troops accompanying the U.S. unit killed two other fighters of the al Qaeda-linked group with small arms fire during the clash that took place on Friday, it said. "The U.S. airstrike was conducted against militants after U.S. and partner forces came under attack," U.S. Africa Command said in a statement. "We currently assess no civilians were injured or killed." 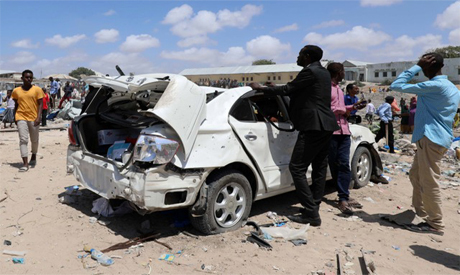 The clash took place about 30 miles (50 km) northwest of the Lower Juba port city of Kismayo. U.S. forces are in Somalia supporting a U.N.-backed government against al Shabaab, an Islamist extremist group that lost control of most of the country's towns and cities after withdrawing from the capital Mogadishu in 2011.